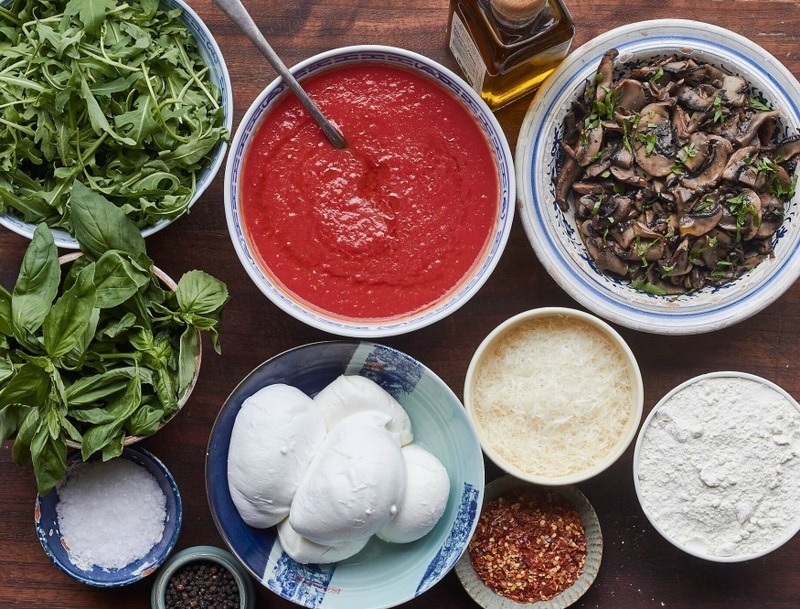 Baz & Fred pizza toppings. 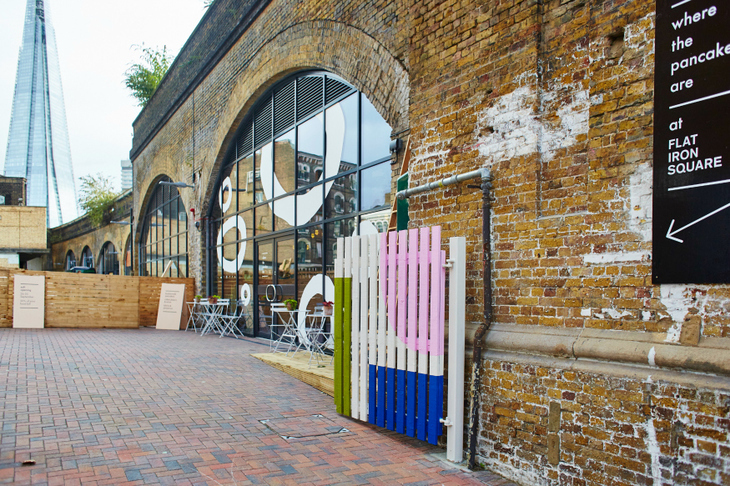 20 October will see the opening of a new foodie destination for south London, in Southwark’s Flat Iron Square. 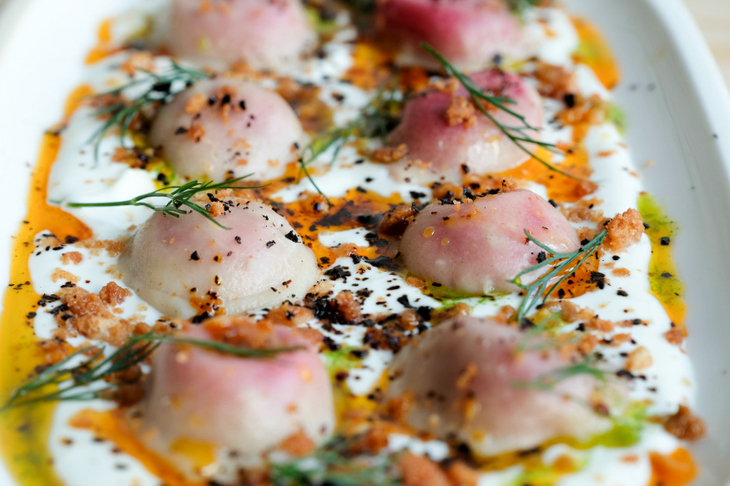 Among the most exciting food stalls is a new venture from Mike and Ollie, focusing on manti (Turkish dumplings). They’ve been selling them at their excellent restaurant in Camberwell and now they’re expanding, with lots of new flavours. Manti, or Turkish dumplings from Mike and Ollie. The hugely popular Savage Salads will sell their knockout salad boxes, which are responsible for huge queues at Broadwick Street market every lunch time. These are not your average salads but substantial, wholesome arrangements. They’ve even released a cookbook. 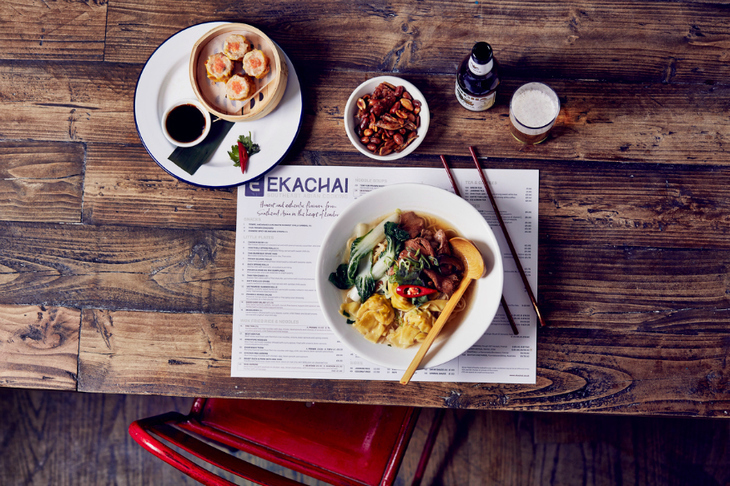 Flavours of south east Asia from Ekachai. There will also be pizzas from Baz & Fred; Thai, Malay and Cantonese street food from Ekachai and a selection of lovely fluffy pancakes from Where The Pancakes Are. The Southwark Road entrance to Flat Iron Square. Photo: David Loftus. Just a short walk from Borough Market, the venue will add to the area’s already strong foodie credentials. 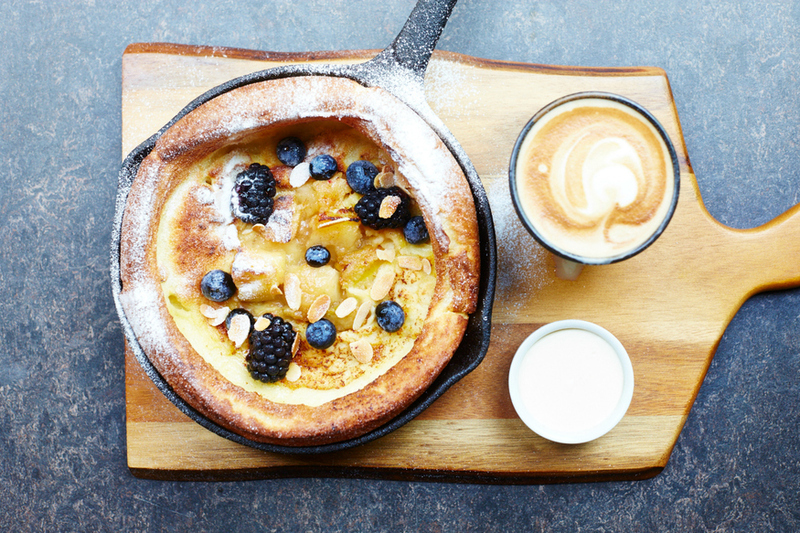 A fluffy Dutch baby pancake from Where The Pancakes Are. Photo: David Loftus. There will also be a bar, serving drinks in a “busy European market style environment” and a live music area called OMEARA, which promises a wide range of events from indie club nights, to talks, comedy, burlesque, and magic.